Welcome to the OBXstore.com. We are an authorized dealer of the Official OBX Merchandise as well as items designed and sold by local artisans, musicians and authors. If you are looking for a unique Outer Banks gift or you forgot to purchase a souvenir while you were here, you will find a wide variety of products at incredible prices within the pages of this site. Take a look around and let us know if there is any way we can help you find that perfect gift. 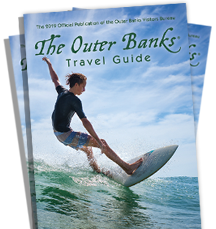 OBXstore.com is family owned and operated by Outer Banks locals. We take pride in offering quality products to our customers so give us a call if you have a comment about a product or a suggestion for a product that you would like to see. We look forward to serving you.